(Bloomberg) -- Silver futures fell for a third day, set for the worst run since January, as an increase in margin requirements on the Comex drove investors away. Gold may also extend its drop into a third day. Silver for July delivery in New York slumped as much as 5 percent to $40.465 per ounce, after losing 7.6 percent yesterday and 5.2 percent on May 2. The metal was at $41.215 at 8:27 a.m. in Singapore, taking losses over the three days to 15 percent. Immediate-delivery gold was little changed at $1,535.32 an ounce after two days of decline. CME Group Ltd., Comex’s owner, said this week that the minimum amount of cash that must be deposited when borrowing from brokers to trade silver futures will rise to $16,200 per contract at the close of business yesterday from $14,513. A year ago, the margin was $4,250. 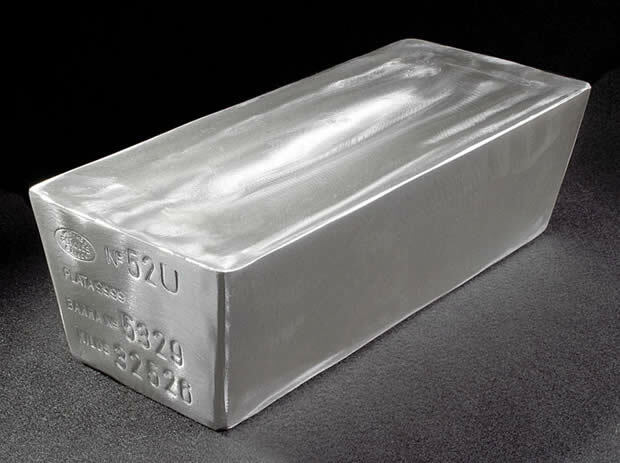 From the start of this year to the end of April, silver futures rallied 57 percent, peaking at $49.845 on April 25, and the metal was the best performer in that period among the 24 raw materials tracked by the Standard & Poor’s GSCI Index. Demand for silver and gold has been supported by growing prospects for currency debasement and accelerating inflation. The dollar fell 7.5 percent against a basket of six major currencies this year, sliding to its lowest level since 2008. Gold for June delivery in New York declined as much as 0.5 percent to $1,532.40 an ounce, after losing 1.1 percent yesterday. Futures reached a record $1,577.40 on May 2. Palladium for immediate delivery was little changed at $774.50 an ounce, while platinum fell 0.2 percent to $1,851.25 an ounce.